Despite the digital age, posters are still a very effective form of marketing. That being said, to advertise successfully with a poster there are a lot of aspects to consider. 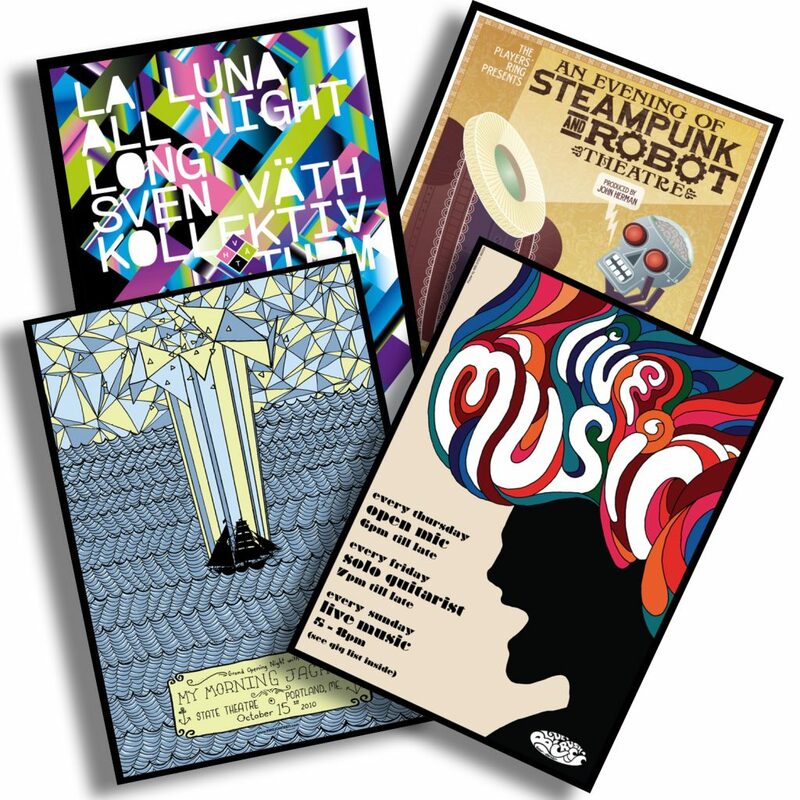 Take a look at our guide for some valuable tips for designing a great poster for print. What do you want to get from your poster? It could be anything from product sales to advertising an event to simple brand awareness. Before you begin the design process you need to know what your focus is, as this will have a huge impact going forward. By deciding your focus early on you can ensure you design your poster in a way that appeals to your target audience and gets your message across. There must be a good balance between imagery and text. Strong, clear images catch the eye, and can also tell your audience a lot without cluttering the poster with text. That being said, you will undoubtedly need to use wording on your poster. Be concise, clear and make sure you include all relevant details while committing unnecessary points. Using different fonts for different points on the poster can have a great effect if done well. It can draw the eye to individual points and ensure they don’t blend into one section that’s hard to read. Typically, people don’t want to read big blocks of information and using different fonts can act as a way to simplify your message. It can also make your design appear more fun and exciting. All projects have deadlines and while it’s important to stick to them it’s also important not to rush when it comes to poster design. Spending a day on your poster means you’re more likely to spot mistakes and produce a more polished, effective design that will get the desired results. If you’re looking for professional poster printing then contact N&P Print today. We’re proud to offer high-quality custom poster printing to make your business stand out from the crowd. We are a digital printers in Stroud, Gloucestershire, offering a complete range of online printing services. We produce a wide range of leaflets, flyers, stationery products and books. The Management team has over 50 years experience in all aspects of design and print. For more information on our complete printing services please contact us. © 2019 N&P Print Ltd.